Whelp, I’ve decided to change “Classic” to “Retro” in this new year. I feel as though people will understand the meaning of it more than if I say “Classic”, because classic can mean classical and very traditional while these are just plain retro and people don’t tend to make them often or at all! California Jello Ring. Read that slowly…. 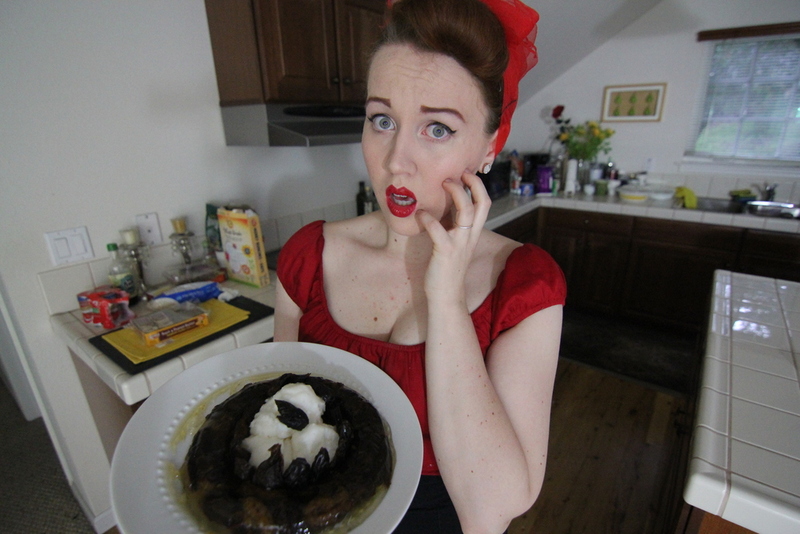 If you’re following me on instagram (@MissSemiSweet) or subscribed on Youtube, you’ll know that it’s basically a prune jello concoction. When I think of California, I think of avocados and cantaloupe. 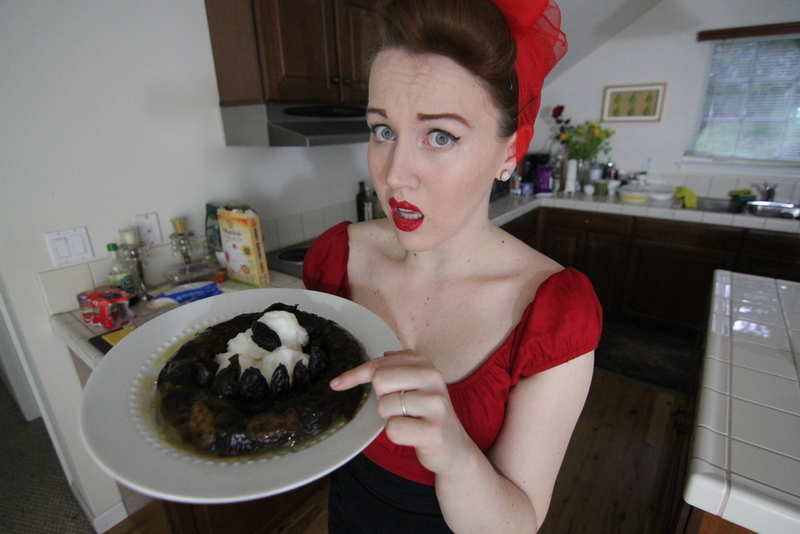 Which I’m not sure a avocado recipe would be that great, but prunes! WHY PRUNES! 1. Pour the 2 cups boiling water over the prunes. Leave for several hours to stand until plump, then drain, reserving the liquid. 2. Pit most of the prunes and cut into halves or quarters. Save a few for decoration. 3. 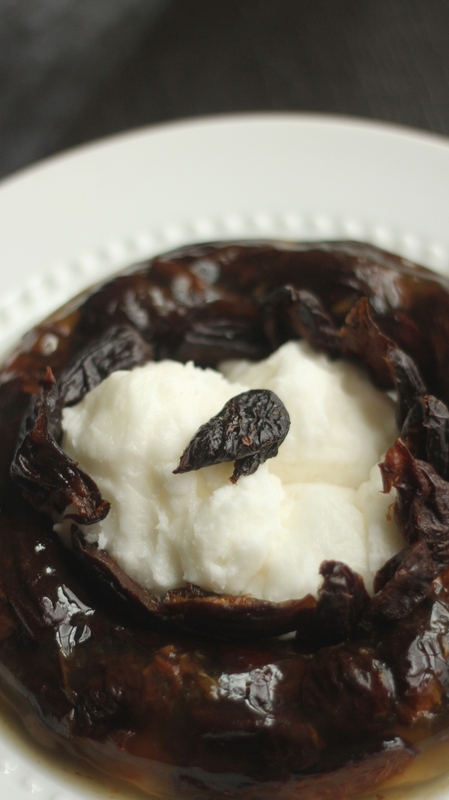 Soak gelatin in 1/3 cup of the prune liquid, dissolve in bowl over hot water. 4. Mix together with lemon juice and enough prune juice to give 2 cups. Stir in sugar substitute to taste. 5. Add prunes and pour into mold rinsed in cold water. TO SERVE: Turn out of the mold by dipping for 30 seconds in warm water. Arrange segments of orange around. Fill center with ice cream or fruit snow, Card 28, and top with prunes. Slimmers should avoid ice cream or have a very limited quantity. TO VARY: Use strained boiling tea in place of water. TO STORE: In refrigerator before being filled with ice cream. It wasn’t terrible. It just wasn’t good either. 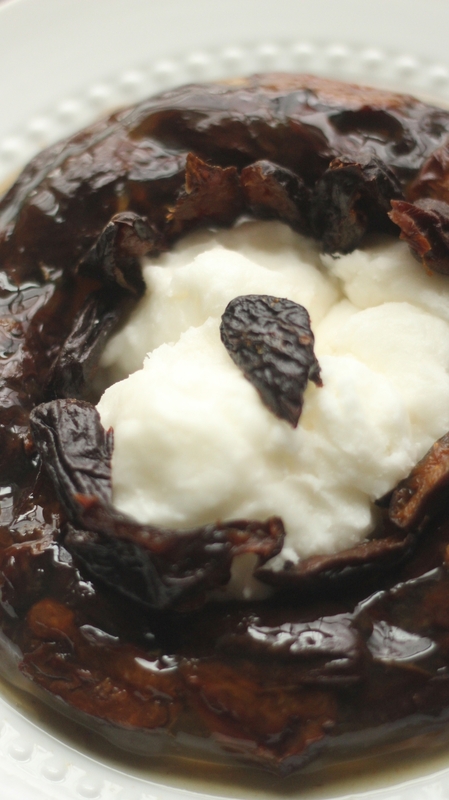 It’s prunes, in prune water + gelatin! That’s all. The end. Nothing too exciting and to be honest the smell of this was much more favorable then that Cocktail Prunes Recipe I did. Don’t forget to comment, like & SUBSCRIBE!